The MacArthur Foundation Research Network on Adolescent Development and Juvenile Justice seeks to expand the base of knowledge about the origins, development, prevention, and treatment of juvenile crime and delinquency; to disseminate that knowledge to professionals and the public; to improve decision-making in the current system; and to prepare the way for the next generation of reform in juvenile justice policy and practice. Visit the Network’s site to learn more about their research, publications, and resources. Also, explore the Resource Centers established to focus on areas critical to continued advancements in juvenile justice. An Anxious Defendant or an Anxious Defense Team? Mass killers like Elliot Rodger teach society all the wrong lessons about the connection between violence, mental illness and guns — and what we should do about it. One of the biggest misconceptions, pushed by our commentators and politicians, is that we can prevent these tragedies if we improve our mental health care system. It is a comforting notion, but nothing could be further from the truth. For more than a decade, researchers across multiple disciplines have been issuing reports on the widespread societal and economic damage caused by America’s now-40-year experiment in locking up vast numbers of its citizens. If there is any remaining disagreement about the destructiveness of this experiment, it mirrors the so-called debate over climate change. In both cases, overwhelming evidence shows a crisis that threatens society as a whole. In both cases, those who study the problem have called for immediate correction. In more than just miles, it is a long way from Olympic Stadium in London to the Weskoppies Psychiatric Hospital in Pretoria, South Africa, but that is the journey that Oscar Pistorius is about to complete. 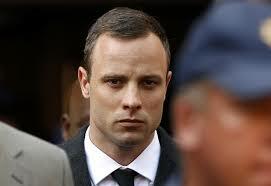 Less than two years after he was celebrated at the 2012 Olympic Games as the first disabled athlete to compete against able-bodied runners, Mr. Pistorius on Tuesday was ordered by the judge presiding over his murder trial in Pretoria to present himself as an outpatient at the Weskoppies hospital for up to 30 days of psychiatric assessment.